Rhubarb is cheerfully making a comeback as a popular crop for the kitchen. If you have space, I highly recommend growing your own. It’s easy and like most crops, when you look away from the supermarket shelves, there’s a huge variety available. You can grow rhubarb from seed but they rarely grow true. 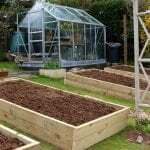 The easiest way is to plant crowns which is the root of the plant that survives over winter. The best time to plant rhubarb crowns is from November to December when they are dormant. 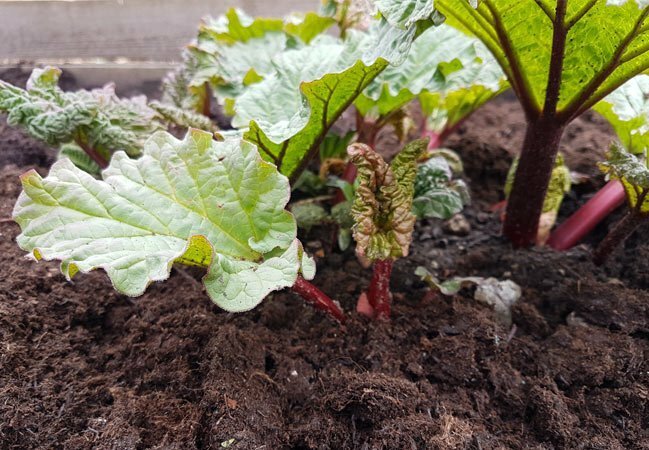 One of the best ways to start a rhubarb patch is to ask one of your neighbours if they’re planning on dividing their rhubarb. You dig up the mature plant in winter and using a spade, chop the crown into quarters. Take one of these chunks and pop it into the ground with some compost or well-rotted manure. It’s important not to harvest any of the rhubarb stems in the first year as the crowns need time to establish. Harvesting them prematurely will result in weak plants and could kill them off. If you like your rhubarb, then I’m afraid the first year is a bit of a tease – but it’s definitely worth the wait. 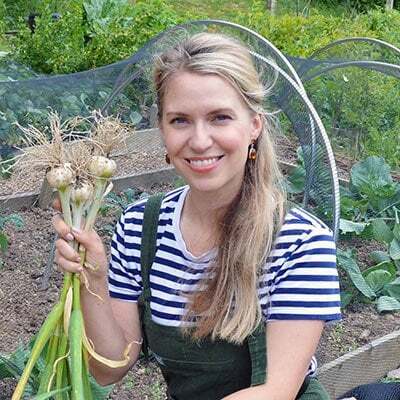 Cut off any flowers that appear and after a few years, you should have a plant that will reward you with a plentiful supply of stems each spring. Rhubarb is a perennial and requires very little in the way of maintenance. 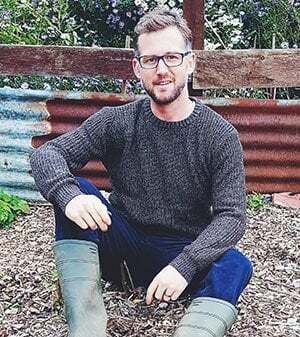 Each autumn I mulch the plants with a decent pile of organic matter such as compost or well-rotted manure and leave them tucked up in their winter bed until the following spring. In the UK, forced Rhubarb, which provides early, delicate pink stems, is famously produced in large dark barns within a nine-square-mile area of Yorkshire, commonly known as the Rhubarb Triangle. At one point, this area produced 90% of the worlds forced rhubarb. Production declined following the end of World War 2, as a rationed-out British public lost the taste for rhubarb – a crop that served them so well during the war – for more exotic fruits and vegetables that had become more accessible. 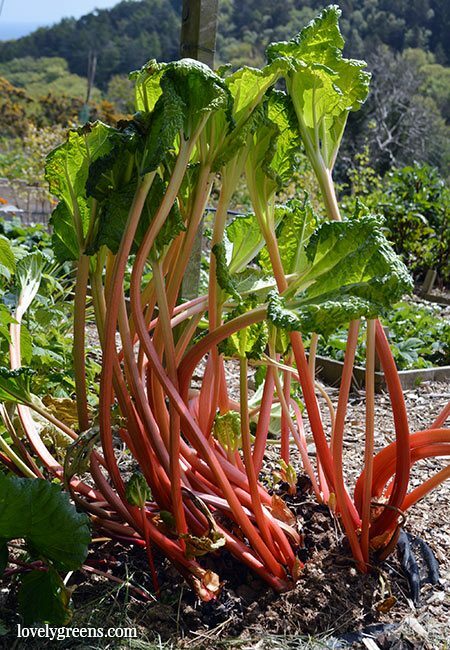 You can produce your own forced rhubarb if you have established rhubarb plants in your garden. To do this you can buy beautiful bespoke terracotta pots. 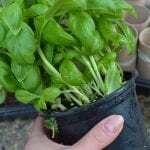 However, they are not necessary and you will get the same result by placing an upended bin or pot over the plant in winter and leaving it in place until the following February. If you love these tart crimson stems, and if you have the space, you could plant a few different varieties and enjoy an extended period of harvest. Timperley Early is one of the earliest varieties to grow – a popular choice for forcing too. Livingston is certainly a variety to consider as a late cropping treat as it produces its stalks in the autumn. Do not cut rhubarb stalks as this can encourage rot. Instead, grab hold of each one near the base and give it a pull. It gives a delightful ‘pop’. And never take more than half of the plants stalks at any one point as the other half will provide full leaves and enable the plant to feed the roots and develop next year’s crop. Don’t be tempted by the leaves of rhubarb. Despite their incredibly lush quality, they are toxic with oxalic acid. Cut them off and add them to the compost pile. 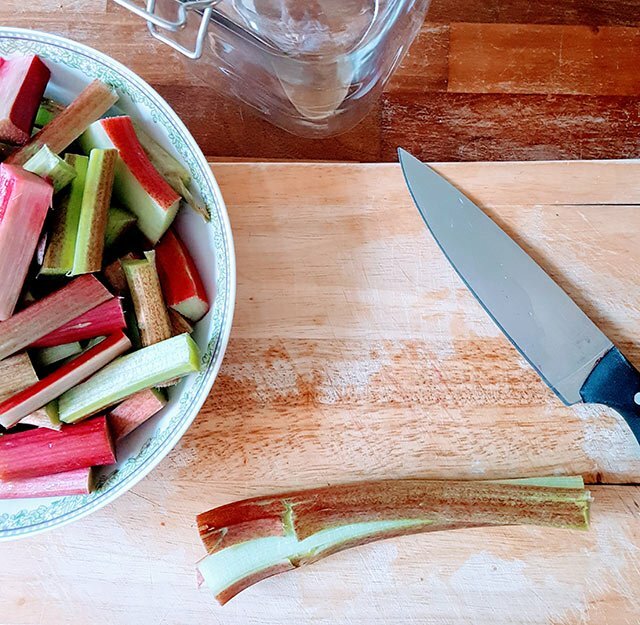 When it comes to using rhubarb in the kitchen, you won’t go far wrong simply stewing or poaching the stems and serving them up with generous dollop of ice cream or custard. It’s certainly a favourite way of enjoying the home grown rhubarb in our house. And hit it up with some flavour too. 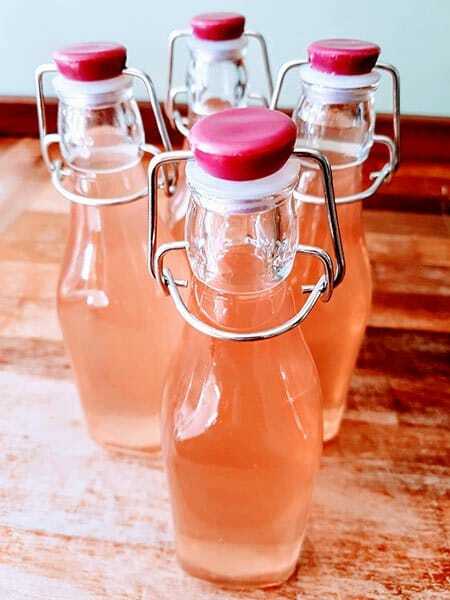 Orange, vanilla, pear, coconut, almond, ginger, strawberry and lemon all work well with rhubarb. 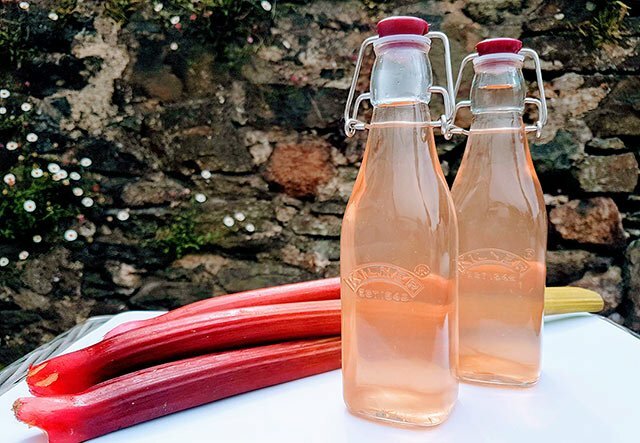 However, If you like a drop of gin and fancy creating a bottle of your own to share with friends, I’ve discovered an easy and incredibly delicious way to use some of that rhubarb up and create what I believe will be your new favourite tipple. 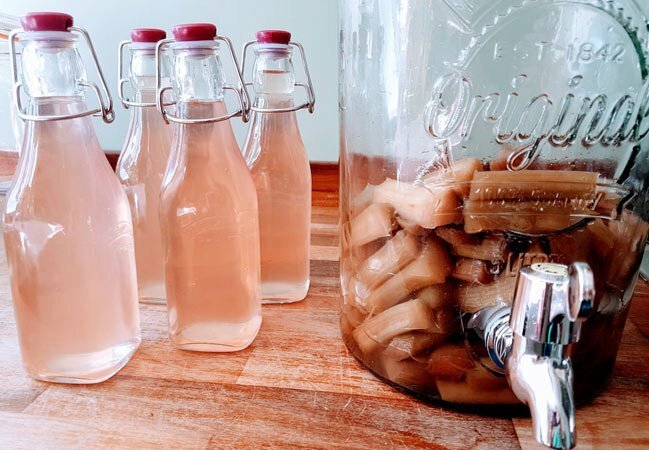 There’s a number of ways to make rhubarb gin but my recipe is one of the easiest. One important tip is to choose a good quality gin. I suggest you don’t use one with strong botanicals to ensure the taste of the rhubarb is maximised. Remove the leaves, wash and trim the rhubarb stalks. Seal the lid and give the rhubarb and sugar a good shake to thoroughly combine. Leave overnight. After 24hrs, the sugar will have drawn out a lot of juice from the rhubarb. Add the gin, seal the jar and give it another good shake. Leave for 4 weeks giving the jar an occasional shake. 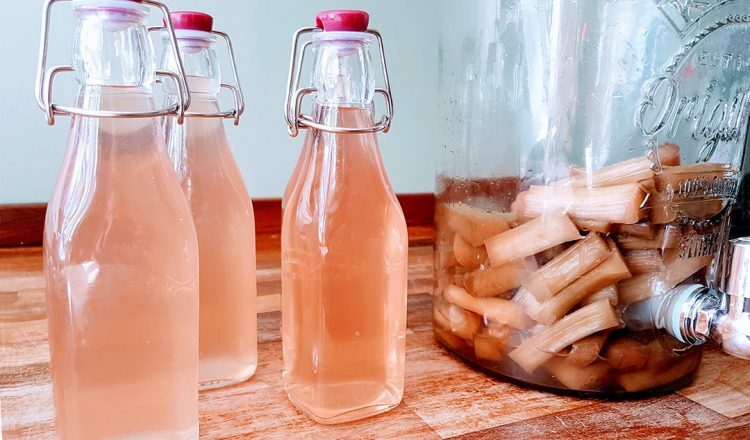 After 4 weeks, the rhubarb gin is ready. The liquor will be clear and a beautifully pink in colour but you can strain it though muslin if you want even more clarity. It looks fantastic poured into small glass bottles and would make a lovely gift to give to a family member or friend. The juice from the rhubarb along with the sugar makes for a sweet and mellow taste and I’ve found it easy to enjoy poured straight over ice. Or you could make for a longer drink by adding soda water or your favourite tonic. 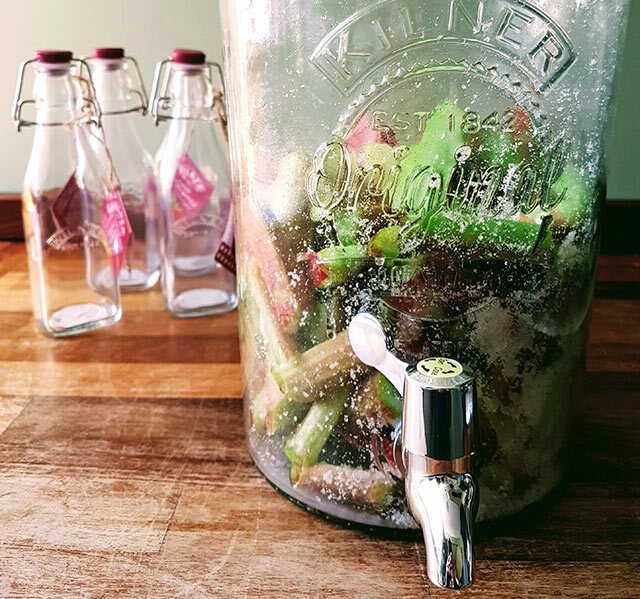 However, for an extra special summer occasion, top up your homemade rhubarb gin with chilled prosecco. Cheers. 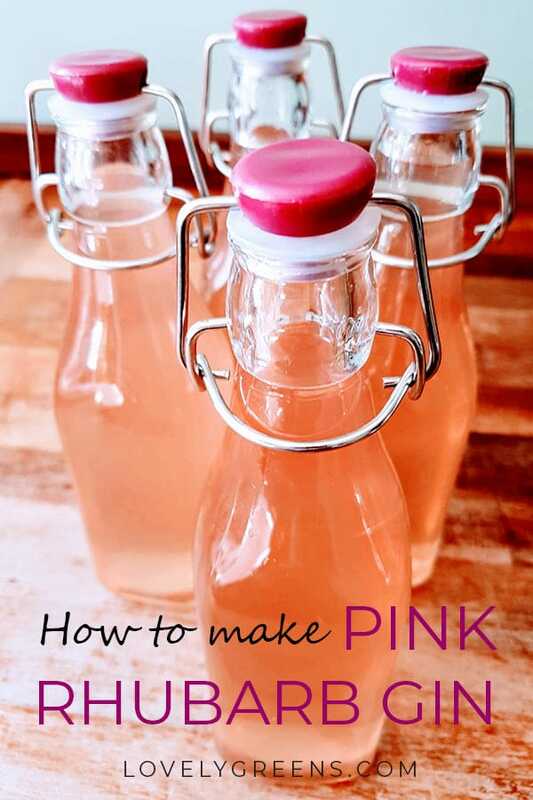 If you like this recipe, you might also want to see how to make homemade Rhubarb Wine. Could a little bit of fresh ginger be used as well as rhubarb or would that spoil the flavour? I imagine that ginger would be a tasty addition. If you end up trying it out, please let us know how it goes?